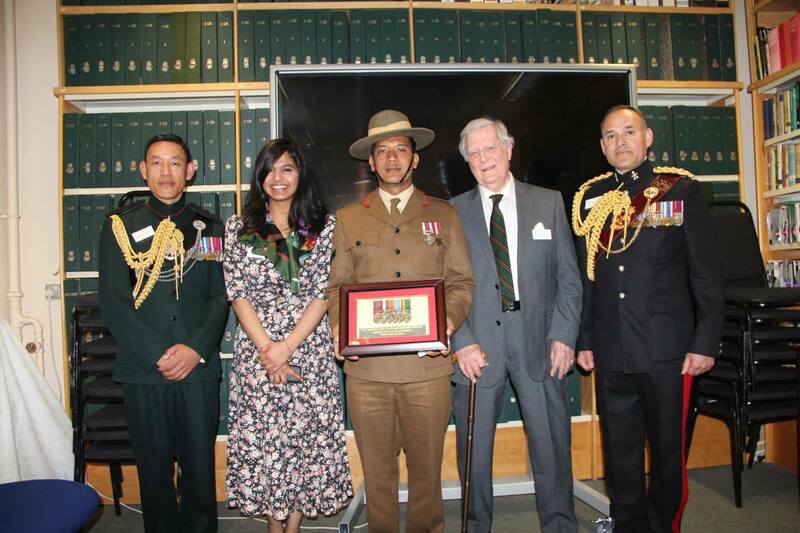 LCpl Anil Chhetri from Support Company, 2nd Battalion The Royal Gurkha Rifles, was re-issued with his father’s medals at the Gurkha Museum in Winchester on Saturday 16 April. The medals of LCpl Anil’s late father had been tragically stolen in Nepal. 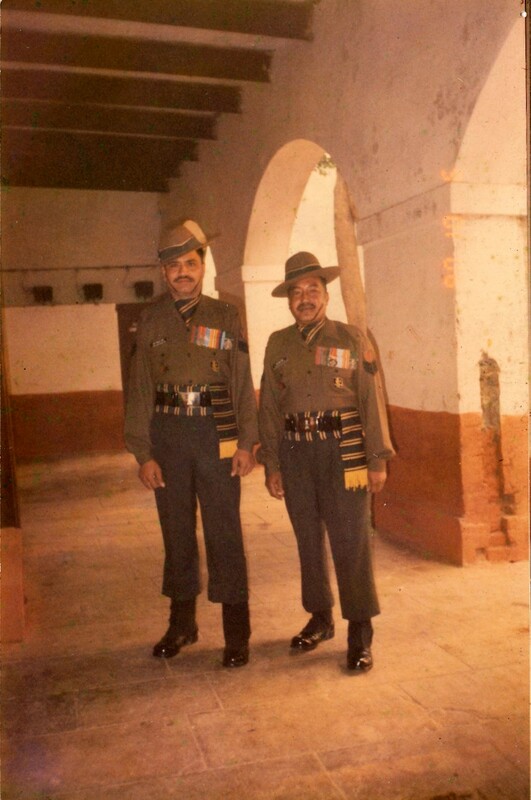 LCpl Anil’s father, Bom Bahadur Chhetri (stood on the right in the photo) joined the 4th/9GR in 1984. He served for 17 years rising to the rank of Havildar (Sgt), operating in Jammu-Kashmir at high altitude before he was tragically killed in action in Kashmir in 2002. 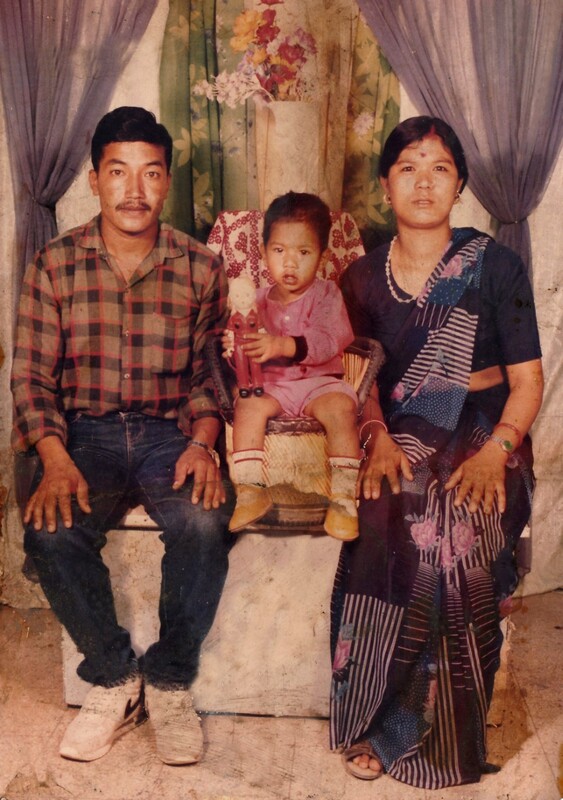 LCpl Anil stated, “My father was an honest and loyal father who dedicated his life to look after my mother and I.” His father’s wonderful character and service inspired LCpl Anil himself to become a Gurkha and he was enlisted into the British Gurkhas in 2007. LCpl Anil’s mother lives in Nepal. 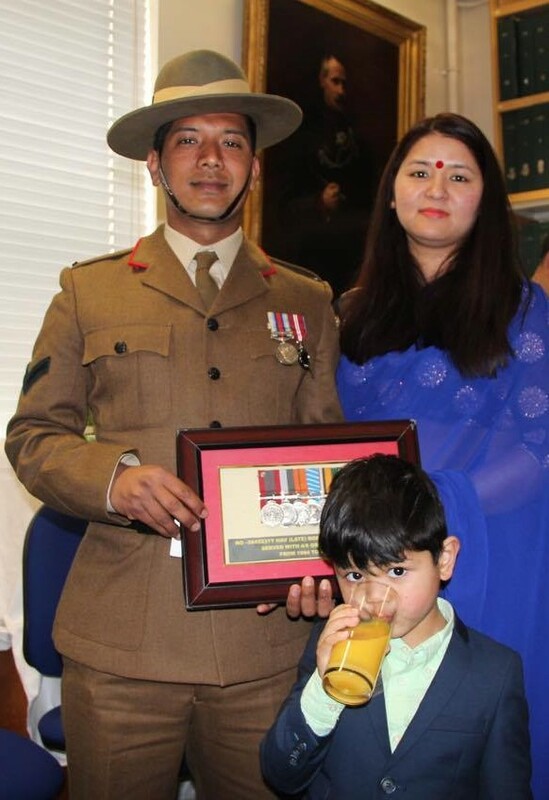 In 2015, LCpl Anil was talking to his Officer in Command, Major Samuel Meadows, about his father during a morning run, and he mentioned that his father’s medals had been tragically stolen from their home in Nepal. Without telling LCpl Anil, Major Meadows kindly took it upon himself to fight hard to try and get Anil’s father’s medals re-issued from the Indian Army. Several months later, with ‘mission success’ from Major Meadows, LCpl Anil was invited down to the Gurkha Museum where he attended the 9GR reunion. The medals had been sourced with the help of Capt (Retd) Bruce Roberts 9GR and Maj Gen Anil Bhatt AVSM SM VSM the current Colonel of the Regiment for 9GR in the Indian Army. The medals were presented by Miss Akkriti Bhatt, the daughter of Maj Gen Anil Bhatt AVSM SM VSM who delivered a personal message from the Colonel of the Regiment. 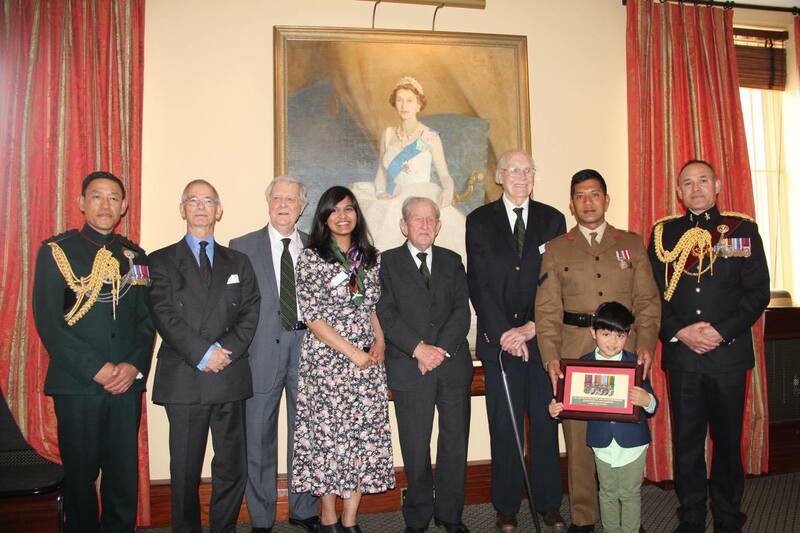 Following the presentation, LCpl Anil, his wife and son attended a curry lunch and had the great opportunity to meet the only remaining British officers from 9GR who served in WWII and before partition, namely Capt (Retd) Bruce Roberts and Maj (Retd) Jim Meeke and the QGOOs.